Now you might already notice that we don't talk about food that much on this site; and this is partly because we are pretty selective with it. However when it comes down to a good discovery, we find that it is always best to be shared; especially when you would know that many people would enjoy its well thought out dishes to the fullest. So nestled along Jalan Bedara in the heart of KL (on the Ground Floor of Bidara Condo), we came across this little gem called Drift Dining and Bar. 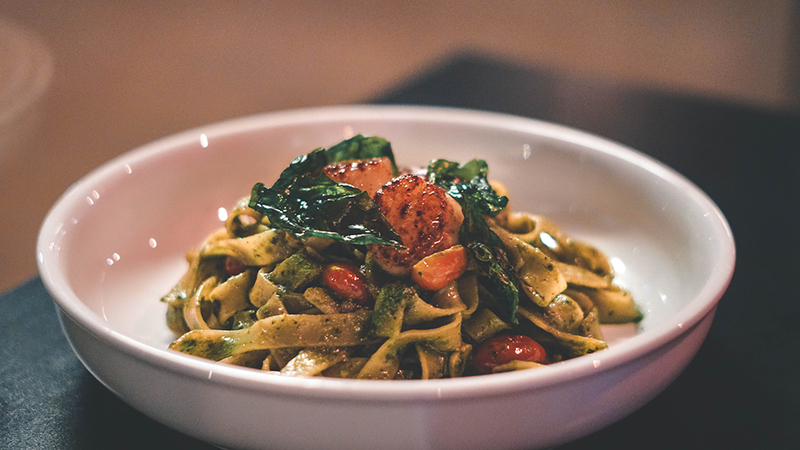 It is a Modern Australian restaurant that is located behind Istana hotel and is a bursting with a pleasant twist on the land down under's popular cuisine. Now this area has a very chilled and relaxed atmosphere, and serves a wonderful menu; plus the quality of the food here is really top notch while mirroring rather refined qualities of fine dining. It is a great place to kick back with friends and have a chat, or to have a casual meeting with colleagues while enjoying a great dining experience. 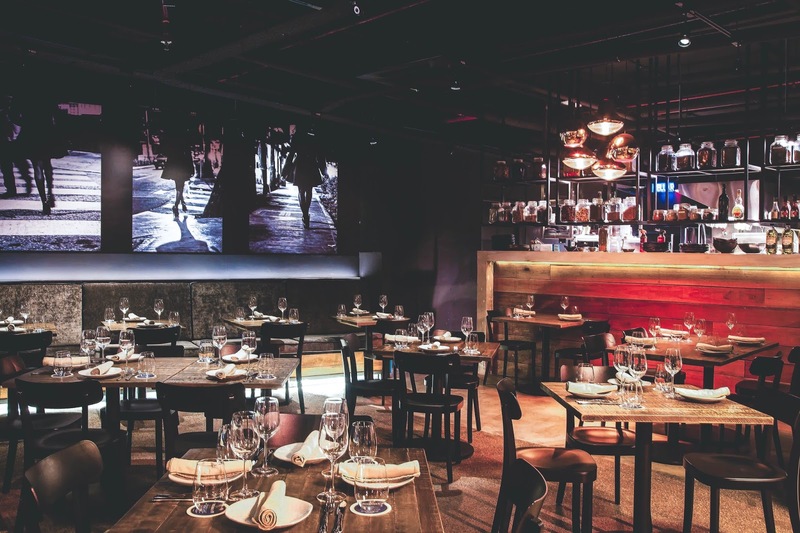 In terms to its concept, this restaurant showcases a very thematic atmosphere, one where the images you see hanging on the walls are photographed by its founder, Robert Gilliland himself. The impeccable attention of detail you see here it quite telling too which is pretty impressive; and keeping with the tone of the restaurant, it has a very warm, relaxed and casual feel; but as mentioned above- with a rather refined fine dining menu selection to choose from. So to start of with, the first one we have up for their entrée is their Pan Fried Sweet Potato Gnocchi retailing at RM32. Now we find that this one is an exceptional item and is a must order dish if you are trying out Drift Dining for the first time. 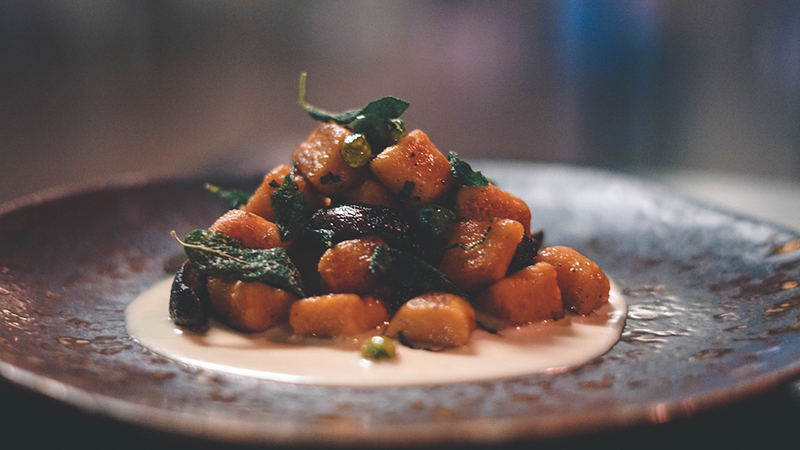 The texture on each gnocchi was extremely soft and it is such a delight to your taste buds upon the first bite. Plus when it is mixed in with the Gorgonzola Cream, it becomes a refreshing creamery delight that you would never forget. As for this next dish, here we have our comfort delight which is the Truffle Mushroom Arancini retailing at RM21. 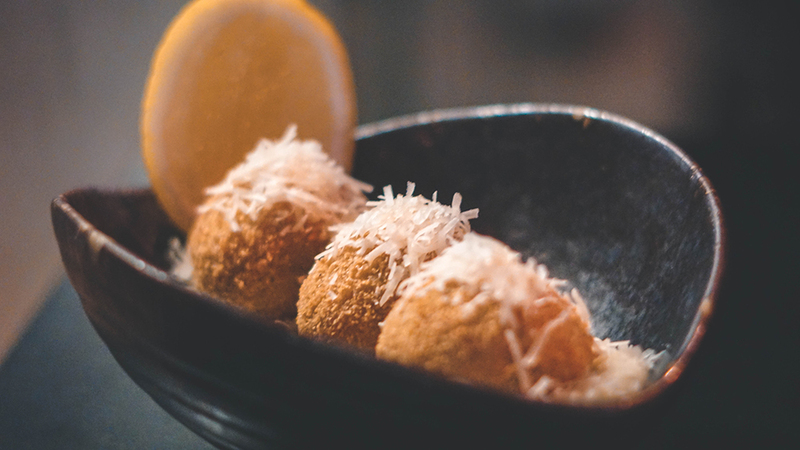 It is a dish that has been lovingly made with parmesan, salad cream, truffles and mushrooms, that is then generously coated with bread crumbs to be deep fried to give it that crispy finish. It was a dish that was thoroughly enjoyed and was wonderfully flavoured as well. Now if you are looking for a dish that is tasty, lightly salted and crispy, then look no further than Drift Dining's School Prawns retailing at RM12. 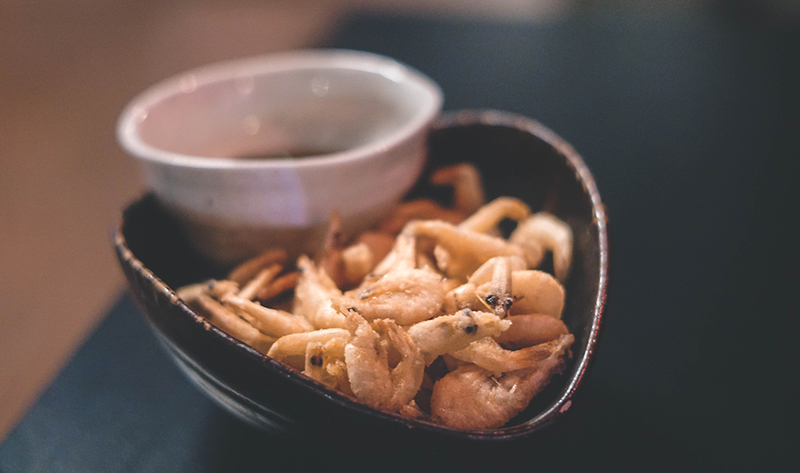 This little dish is an addicting serve, and is presented with a delicious bowl of Nam Prik Sauce. Everything about this was delightful and is a great starter to have before beginning the main course. 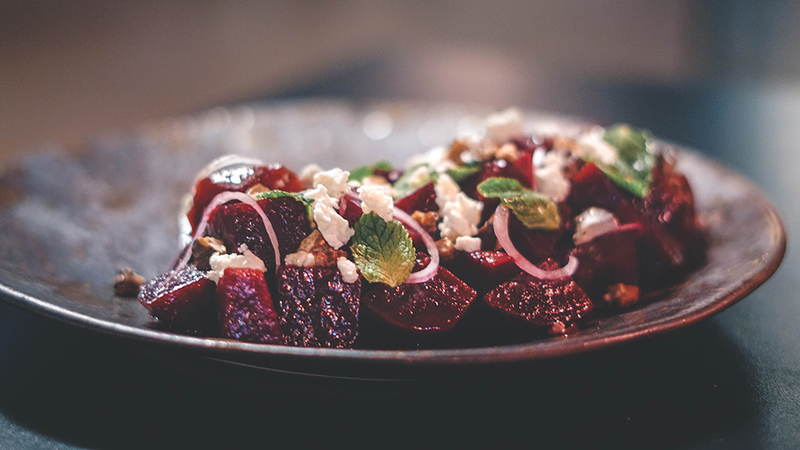 However if you are looking for a salad course and you are a fan of beetroot, then Drift Dining also has their signature beetroot salad layered with labneh, walnuts and honey for your dining selection. Retailing at RM27, the portion here is well done and extremely generous, so it is best to be shared between two. 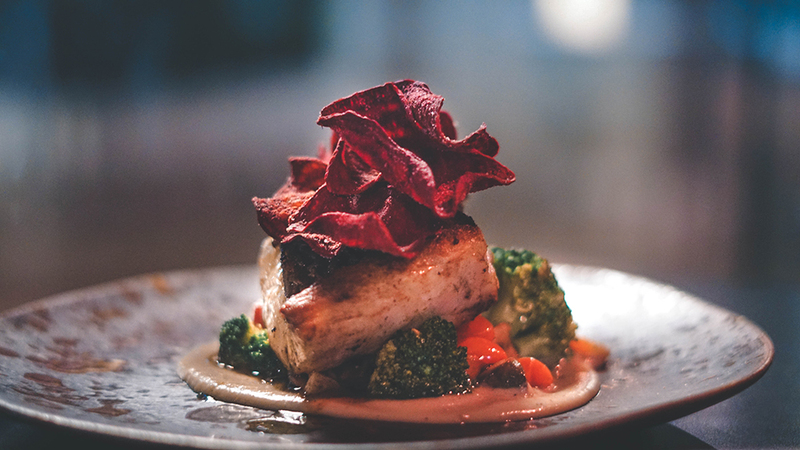 Moving on to the mains, here we have the Pan Seared Barramundi, served with shallots caramel, vegetable and beetroot chips. This dish retails at RM65, and you guys, this was cooked to absolute perfection. The texture of the barramundi was extremely soft and flavourful while its accompaniments were a perfect compliment to its main ingredient. This dish on overall is a definite recommendation from us and is a great main for anyone who loves seafood as well. 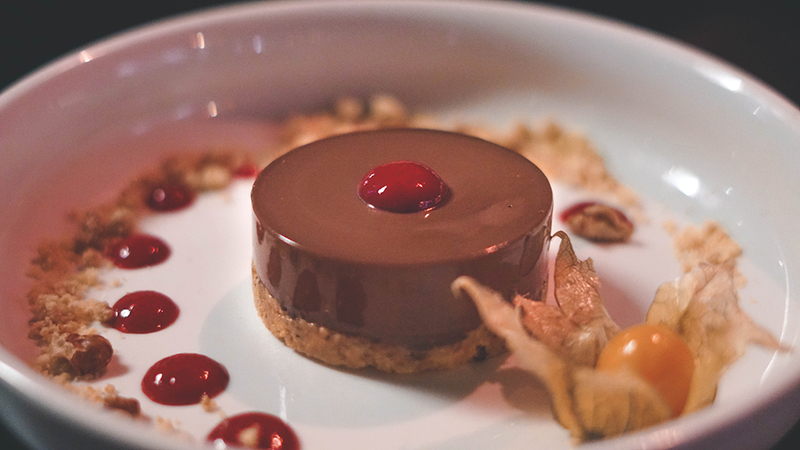 As for Drift Dining & Bar's desserts, a must try item on the menu is its Chocolate Pudding that has Walnut Crumble and Raspberry Sauce. This delicious serve retails at RM28 and it has the most creamy and delectable texture that simply melts in your mouth as you have your first bite. Plus with the walnut crumble for its base, it gives a rather rich, crunchy texture too, and that takes the dish to a whole other level as well. 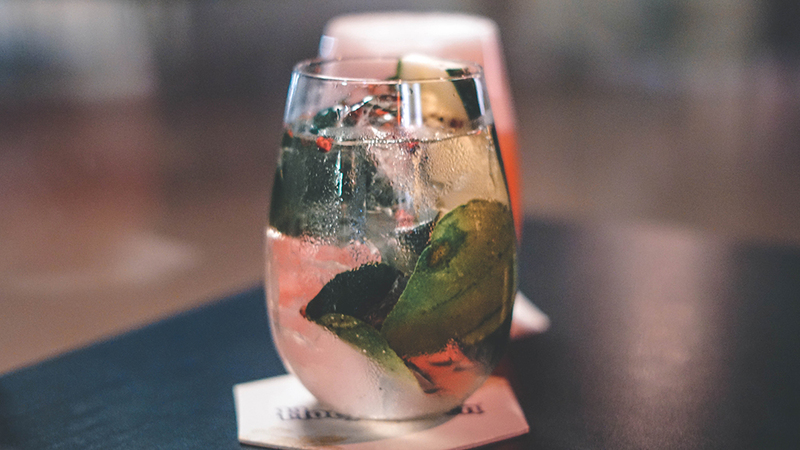 As for its cocktail selection, we have to say that Swipe Right (RM38) really made a wonderful impression on us. It is a great cocktail made with Kaffir Lime Infused Tanqueray Gin, Pink Peppercorn and Tonic and its taste was divine. However what was personally enjoyed about it is that it is very refreshing and light; thus making the whole dining experience go off to a great start. All in all you guys, we had a wonderful experience at Drift Dining & Bar and it is a great place to visit with both family and friends, especially if you would like to enjoy good Australian dishes with a twist. 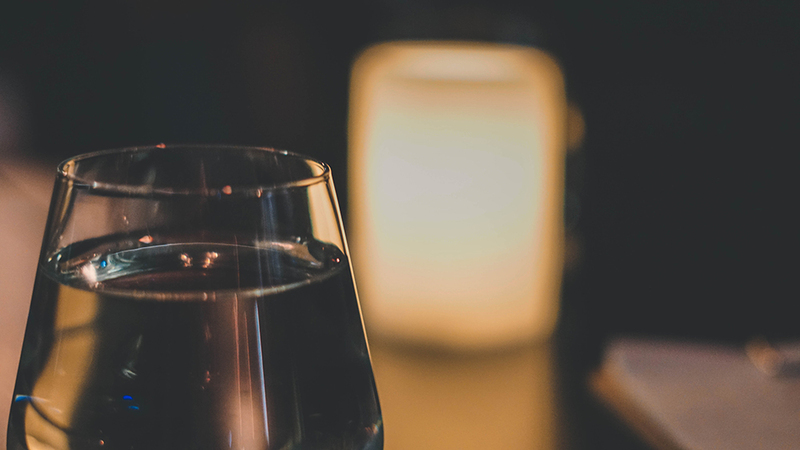 The quality in its food is understated and refined; plus in terms of its service, we felt relaxed and right at home as well, as their staff was extremely warm and friendly too. 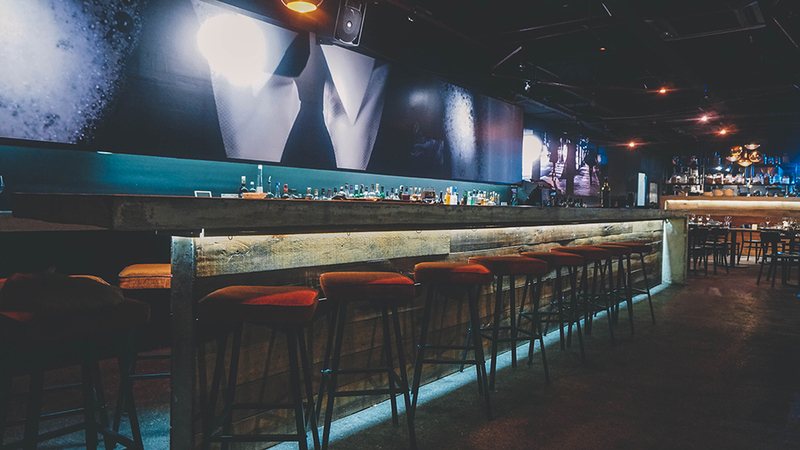 Hence from its food, service, price point and atmosphere, we give Drift Dining & Bar a huge thumbs up, for it is a place that should not be missed whenever you are in Kuala Lumpur. In the meantime for further details, you can head over to their Official Website for more information.